William and Mary E. Lanham and their family came to Texas from Tennessee about 1870. They purchased land and settled on a farm at the confluence of the Paluxy River and White Bluff Creek in what was at that time Hood County. 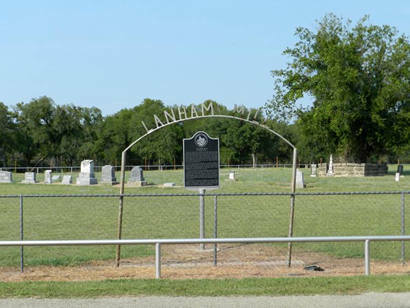 William Lanham was one of 406 citizens who signed the 1875 petition to the State Legislature that led to the creation of Somervell County out of portions of Hood County. 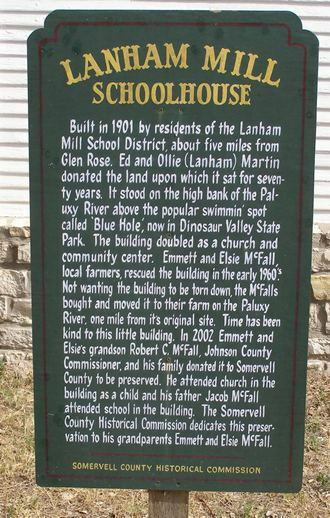 By 1877 Lanham and a partner, T. J. Hamick, owned a grist mill located on the Paluxy River about halfway between Glen Rose and Paluxy. They built a cotton gin about 1881, and continued in business until a fire destroyed the entire facility in 1898. The area around the mill operation became known as the Lanham Mill Community. 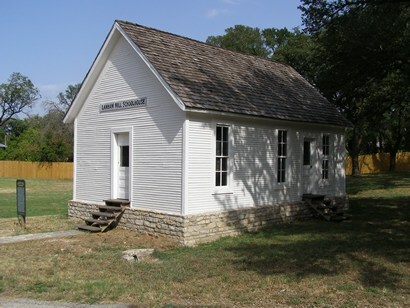 In addition to the mill and gin, the community included farms, churches, a public school, and a community cemetery. Although land for the cemetery was not formally deeded until 1893, headstones reveal that burials occurred here as early as 1879. The community gradually declined in the early 20th century, and by 1947 the school was closed. 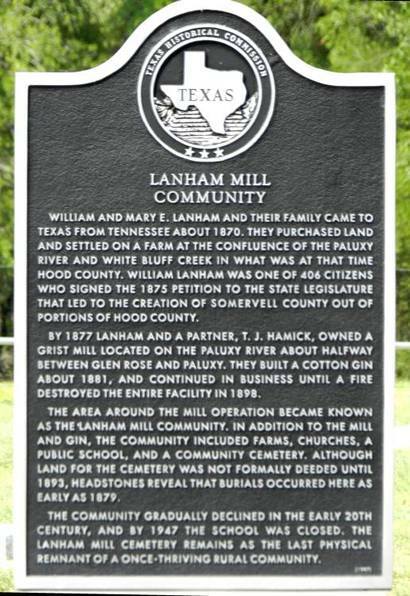 The Lanham Mill Cemetery remains as the last physical remnant of a once-thriving rural community. in Dinausaur Valley State Park in Glen Rose.